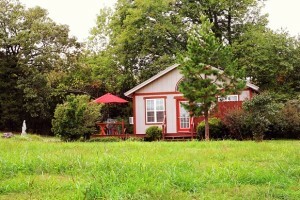 Both our romantic Apple Blossom Boutique Cottage and Mocking Bird Cabin Suite allow you to relax in a peaceful, quiet setting that only a Arkansas countryside retreat can offer. Our regular guests often refer to The Apple Blossom as more of a tiny house and the Mocking Bird a roomy cabin each has its own outdoor hot tub, charcoal grill (charcoal provided), equipped kitchen, laundry center and comfortable king size bed. For your entertainment we’ve provided an extended dish network with HBO, Showtime, Sirius radio and DVD player with small movie collection and a 32″ TV. 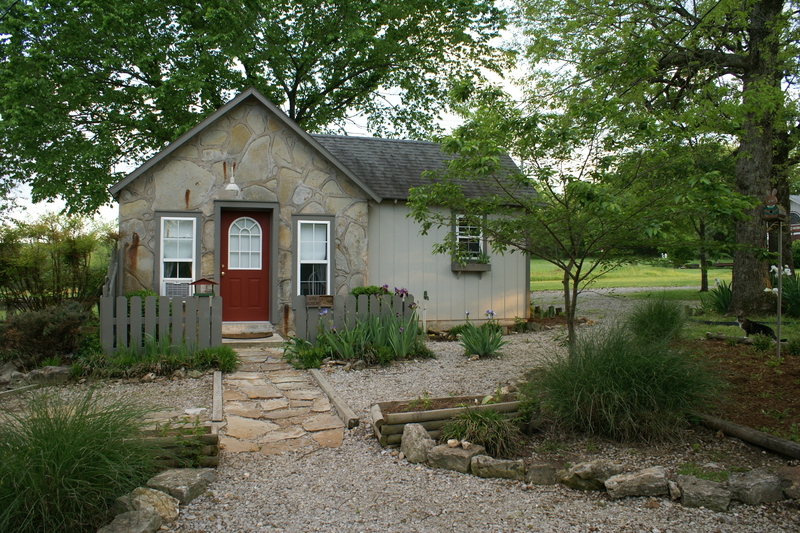 After an afternoon of the many activities you’ll find in Eureka Springs you’ll be glad to sink into your outdoor hot tub.Both our romantic Apple Blossom Boutique Cottage and Mocking Bird Cabin Suite allow you to relax in a peaceful, quiet setting that only a Arkansas countryside retreat can offer. Our regular guests often refer to The Apple Blossom as more of a tiny house and the Mocking Bird a roomy cabin each has its own outdoor hot tub, charcoal grill (charcoal provided), equipped kitchen, laundry center and comfortable king size bed. After March 1st, we will offer a complimentary breakfast for the first morning of your stay. Breakfast is delivered to your cottage/cabin the evening of the day you checkin. This will allow you to sleep in and enjoy breakfast at your leisure. We will have coffees, juice and teas available during your entire stay. Motorcycles, trailers and pets are always welcome. Stone Meadow Resort is situated on a beautiful 14 acre meadow near Eureka Springs, Arkansas with easy highway access. Only 10 scenic miles from Downtown Eureka Springs, our property offers a walking trail, outdoor chess and checkers and hours of bird watching. The Ozark’s host a variety of migrating birds and local favorites like the Blue Heron and Mocking Bird. 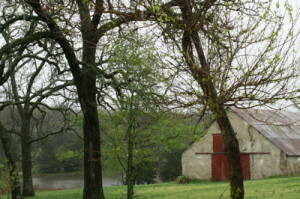 Feel free to explore the property’s park like surroundings. Area activities include Historic Downtown Eureka Springs, AR. Arkansas victorian mountain village! With art, music, fine dining, night spots, distinctive attractions and worlds of outdoor activities. In fact our little town boasts the most art galleries per square mile in the country! Eureka Springs has special events and activities throughout the year so you will find plenty to see and do whether you to come visit for a few days escape or a weeks vacation. Nearby Roaring River State Park- MO, contains one of the premier trout fisheries in the nation, stocked each night. The natural setting – towering hills above a deep blue spring- provides a scenic backdrop to your outdoor adventures. Minutes from Beaver Lake, completed in 1966 and nestled high in the Ozark Mountains, located in northwest Arkansas, the birthplace of the White River. The 28,370- acre lake is the first of the impoundments created in Arkansas and Missouri along the lengthy White River system. We are only 45 miles from Branson, MO. Experience star-studded performances at their live shows. Explore the sights and sounds of one of the country’s top 10 theme parks: Silver Dollar City. Great Passion Play Eureka Springs, enjoy the greatest story ever told in an outdoor setting. Visit the Marketplace at the Great Passion Play which features the Parables of the Potter and David the Shepard. Get a look at goods and artifacts that you might have purchased in Bible days. Come and see why we love our beautiful state! There are many things to see and do; unforgettable road trips, southern festivals, outdoor recreation, wildlife & birdwatching, and hiking! The list goes on and on!